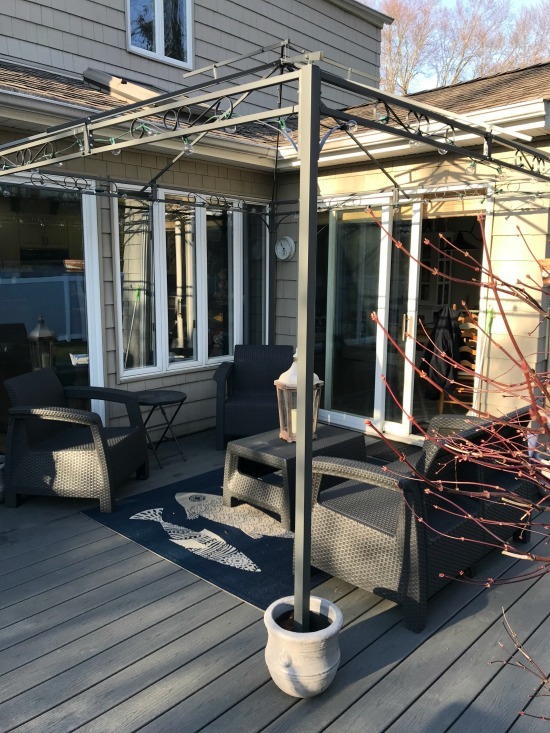 This spring we put a new deck onto the back of our house. 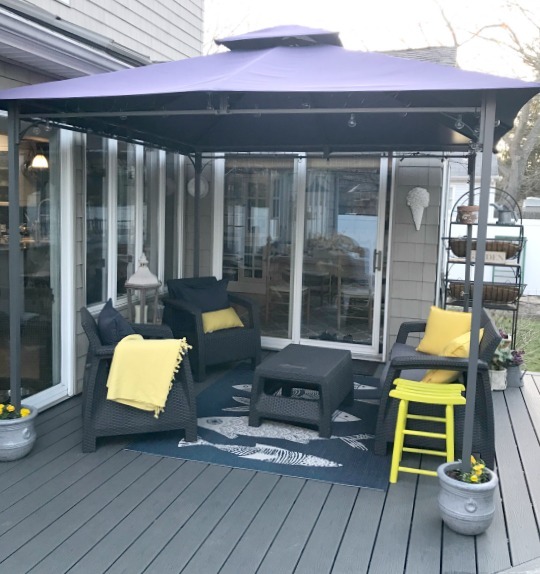 This time around we went with Trex decking. It is a man made product that will last as long as we need it and looks gorgeous! I use at no additional cost to you. 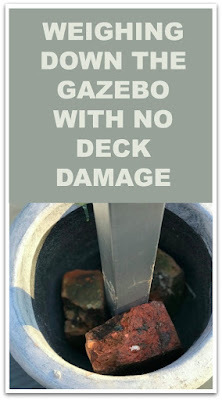 Only problem was that neither my husband or I were too keen on screwing our gazebo into the new decking. 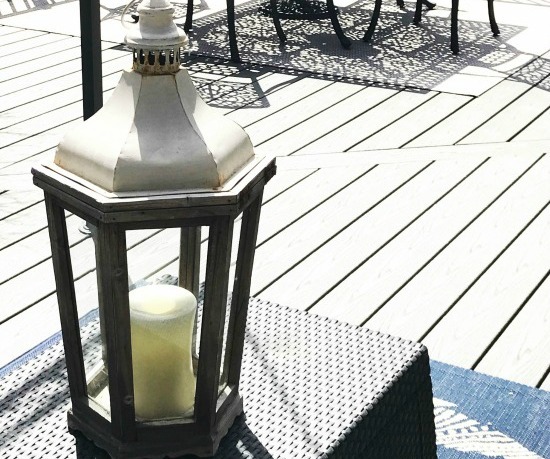 Want to read about cleaning your patio umbrella? I can tell you how I did mine! We were looking for a solution that will hold down the gazebo we built without damaging the deck. That's when I thought about all the beautiful pots I saw earlier in the week at Tuesday Morning. 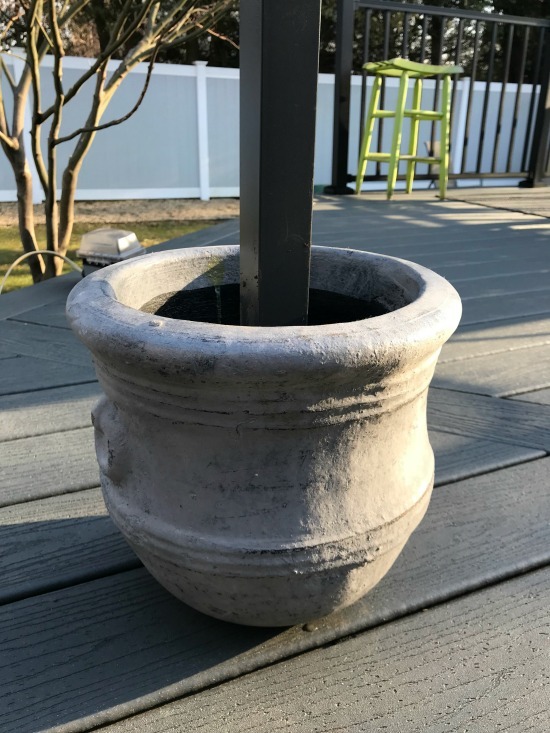 I brought home 4 pots in grey that match the decking and put one leg of the gazebo into each pot. Next we filled the pot with bricks. 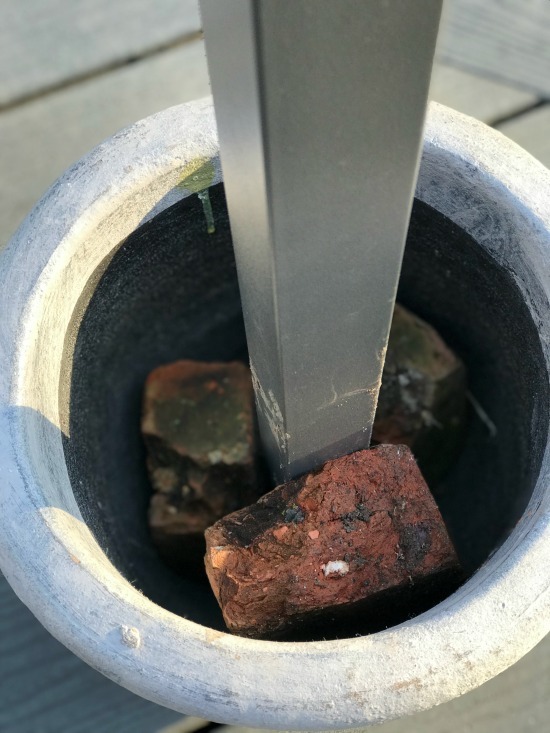 The legs of the gazebo have a little lip on them that is held to the bottom of the pot with the bricks. 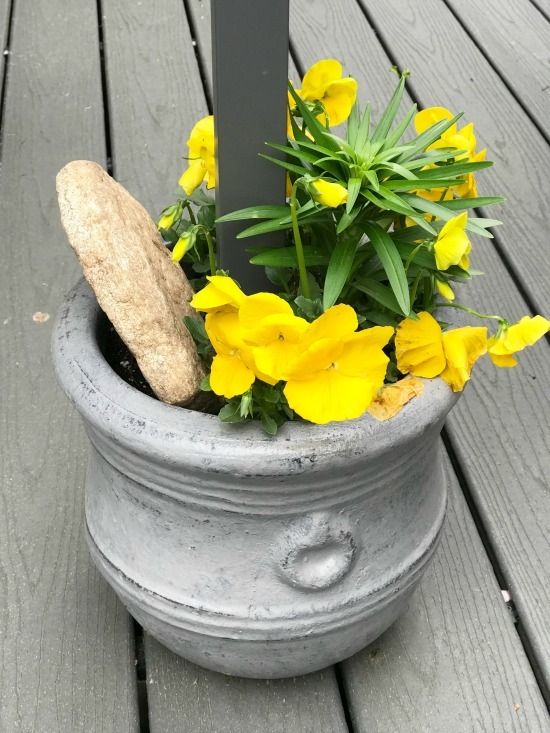 I filled each pot with potting soil then planted pansies in each pot. 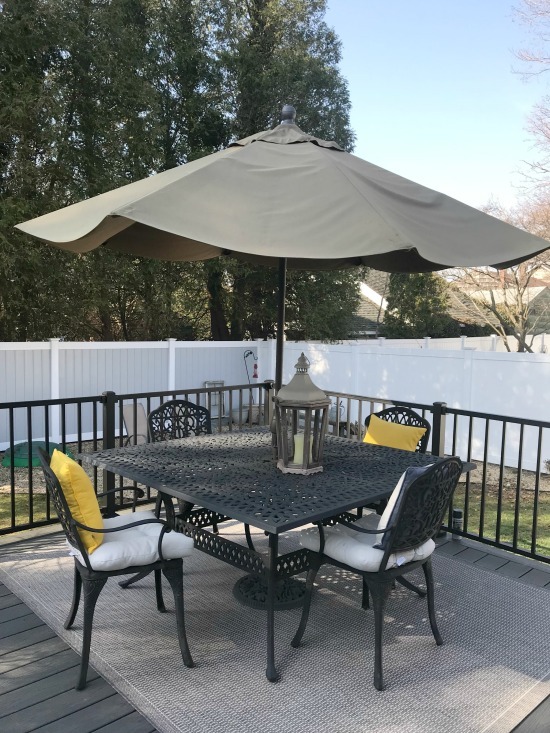 We had a couple of pretty windy days lately and I'm happy to report that the gazebo stayed put and the pots look beautiful! What a great idea Susan !!! 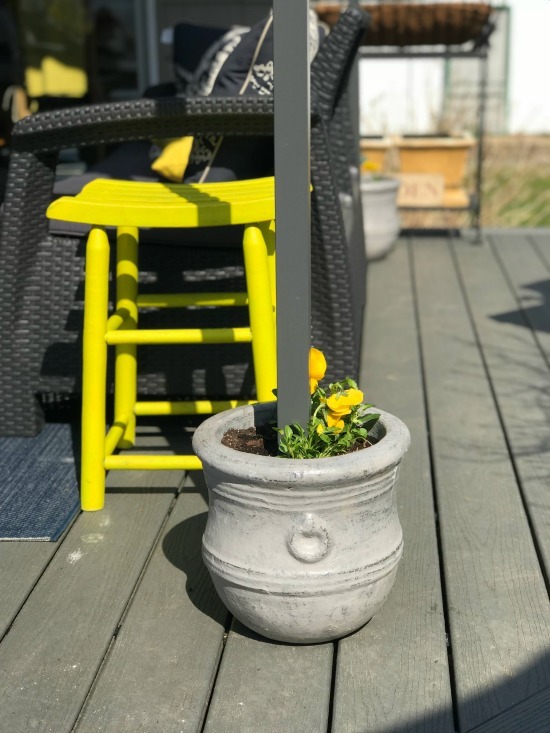 I love how you styled your new deck..the pops of yellow look great!!! !